This page shows the latest VFA news and features for those working in and with pharma, biotech and healthcare. 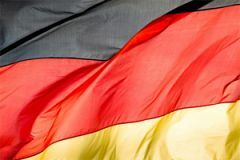 In some cases the prices charged in Germany for new medicines are the lowest in Europe and often well below the EU average, according to the VFA trade body. Pharmaceutical Industries and Associations (EFPIA) and the German Association of Research-Based Pharmaceutical Companies (VFA). It's not a Boehringer topic,” says Hillgrove, noting that the trade body for pharma in Germany, the VFA, is leading discussions with politicians. Fischer will remain as head of the VFA until 2019 having already served in the role for four years. ... The contract extension is a sign of confidence in Fischer from the VFA, which represents 44 companies from over 100 locations in the country.